For a few weeks now I’ve been writing about a couple of issues raised by a pastor friend of mine regarding Genesis 22. In the last post, which you can find here, I was addressing the issue of this statement by God to Abraham in v. 12: “now I know that you fear God, seeing you have not withheld your son, your only son, from me.” This is a bit of a problem if we think God is omniscient. If he knows everything, including what will happen in the future, how did he not know beforehand that Abraham feared God? I responded by saying that this is a figurative way of speaking in which God is described as truly interacting with Abraham’s demonstration of faith even though he knew ahead of time what Abraham would do. He has full knowledge but he is still responding truly to Abraham. The question I raised for this post is: how do we know to take just this part of the statement (now I know) as figurative? Some theologians think this text is a plain statement of God’s response to Abraham. That is, he really didn’t know and used the test to measure Abraham’s faithfulness. 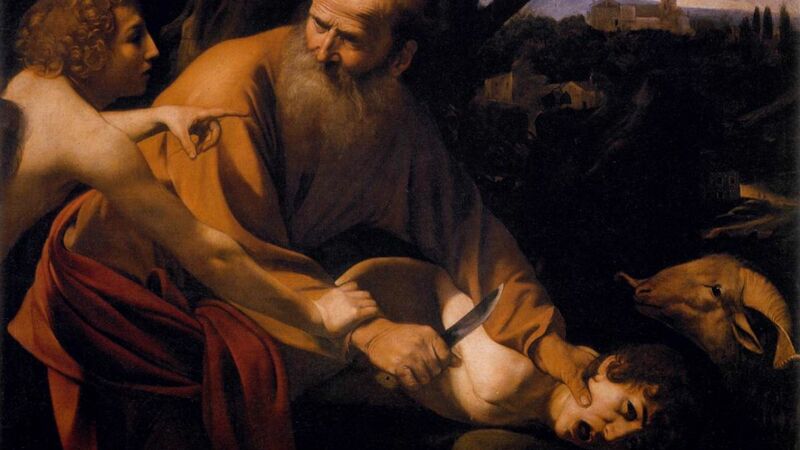 In that case God learned something new and Abraham’s action affected God’s response. These theologians (Fretheim, Pinnock, Sanders—among others and with some variation) believe God is omniscient but doesn’t know the future. This is logically possible because they argue that to be omniscient means to have all possible knowledge and knowledge of the future is not possible. I, however, think that God’s omniscience includes everything in the future. So that’s the issue. How do we know when the Bible is speaking figuratively and when it is speaking literally? The only way to answer this question is to open up the topic of metaphor. Unfortunately, this post got so long I’m sticking to a clear understanding of metaphor and saving the answer to this question for yet another post. First let’s remember just what metaphor is. A great place to find metaphor is Song of Solomon. Here’s an example: “his legs are pillars of marble” (Song of Solomon 5:15). Metaphor is when you bring two concepts into juxtaposition and say that one thing is the other. It is clearly not the case that one thing is the other—his legs are definitely not pillars of marble. But there is something about marble after all, that we can think of if we were to look at his legs. Maybe they are strong, or perfectly fashioned, or just plain ornamental, or maybe they’re stiff and useless for movement. There’s more. You may remember learning that there is metaphor and there is simile. Metaphor is when we say, “his legs are pillars of marble” and simile is when we add the word “like,” as in “His appearance is like Lebanon.” That’s true but I’m talking about metaphor in a broader sense and in that case simile is a kind of metaphor. So is metonymy, hyperbole, and antithesis. The point is, metaphor is something we use everyday without even thinking about it. It used to be that people thought metaphor was rhetorical flourish—nothing more than a creative way of communicating. Sure it’s clever and interesting, but you can say the same thing in plain language. In fact, some people thought that you could say it better with plain (propositional) language. Well, in the last fifty years people have been rethinking that position (Lackoff, Black, McFague, Soskice and Ricoeur, to name just a few) and we’ve come to realize that metaphor is something much more than just flourish. Metaphor actually a way that we begin to understand things that are beyond our grasp. It’s a way of interacting with and understanding the world around us. How so? First off, remember what a cube is. A cube is a 3D object made up of 6 square faces. A square, of course, is a polygon made up of four sides of equal length and with equal angles (90˚). 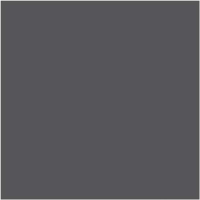 So this picture accurately represents a cube in 2D space. All the sides are of equal length and all the angles are 90˚. You can even measure them. Figure 2 happens to be an isometric projection of a cube. All of the sides are of equal length, just as they should be. However, the sides are not the same length as on the real cube and none of the angles are 90˚. 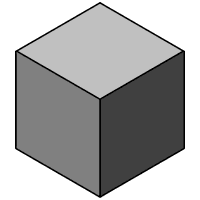 This isometric projection (a projection that shortens each of the three axes by “equal-measure”—“iso-meter”) preserves enough information for us to look at the picture and quickly deduce that it is a picture of a cube. I think it’s also a sort of isomorphism (“equal-form”) because while it distorts certain aspects of the 3D object it preserves important information—even much more information and more crucial information, than figure 1. An isomorphism is something you use when you want to transfer a system from one domain to another and that transfer cannot be done without loss and/or distortion. An isomorphism helps you control the distortion in such a way that vital information is preserved. Take careful note of this. The top picture has no distortion whatsoever. All of the sides accurately depict the length of the actual cube and all of the angles too. The bottom picture is a clear distortion of reality. It preserves some “actualities,” but distorts the actual length of the sides and the angles. Despite the fact that it distorts reality, reasonable people will agree that the bottom picture is a better representation of a cube in 2D space. You may be beginning to understand why a metaphor is like an isomorphism. A metaphor purposefully distorts, even while it preserves information about reality. Whenever you try to express something about reality using language you have to transfer from the domain of space and time to the domain of language. Whenever you transfer from one domain to another, some information is going to get lost (like the whole third dimension in figure 1) or distorted (like in figure 2) or both. A metaphor is a purposeful distortion of reality, like “his legs are pillars,” that is meant to more fully communicate some aspect of reality at the expense of another. Metaphor captures a truth in a way that more fully expresses that truth than any other form of communication could. Metaphor is much more than rhetorical flourish, it is a necessary tool for depicting reality in the linguistic domain. Interpreting metaphor requires synthesis rather than analysis. Analysis means you measure all the sides and angles and compare it to the technical definition of a square. If you analyze, then figure 1 ends up being judged the better depiction. But it doesn’t look like a cube! Ah, but now you’re synthesizing. If you synthesize, you look at the picture and take it all in. Almost intuitively (uncritically) you interpret the meaning of the picture to be “cube.” Odds are, your interpretation is correct. Let’s bring this back to Genesis 22 when God says, “now I know.” That little phrase communicates something true about God while at the same time distorting some other aspects of God. What it communicates truly about God is that he interacts with people and he responds to them. Our actions are important. But what it distorts is the reality that God does know the future completely. The thing is, that’s OK and it’s a perfectly natural way to communicate. People have always recognized the problem of describing God. How can you describe what has never been seen? How can you describe what has never been directly sensed in any way? How can you describe what cannot be fully comprehended because there is nothing else that exists that can be compared to it? You can’t. Any time you talk about God you do so using the familiar to describe what is not familiar. In other words–you use metaphor. Metaphor, while it distorts, also communicates truly about what otherwise cannot be conveyed. Started today by re-reading all your Genesis Big Gnab posts, and then got distracted by this post (and others). So, as I synthesized all that data, it struck me that your cube illustration explaining metaphor could also apply to the chronological versus poetic understanding of Genesis 1-2. If you approached Cube 2 analytically to define a cube, you would come up with a whacked definition of a cube – it has no right angles. If we approach the creation account (which is more like Cube 2) and measure all the angles (assuming it’s chronological and more like Cube 1), we can come up with all kinds of whacked-out explanations of how creation happened. It seems that to be poetical is to be metaphorical and if we overlay chronological on metaphorical we end up illogical. But, the cool part is, metaphorical does not imply fiction/untruth, rather, it ends up being more truthical. Thanks for the comment, Doug–it made my day. It’s great when someone so perfectly understands what I’m trying to communicate. This very day I’m writing the temple portion of my dissertation in conjunction with Gen 1. The more I think about it, the more I see how incredibly important the temple is to biblical theology (you probably noticed that I finish both this series and the Gnab series of posts with the temple metaphor). Oh yeah, and if you get too distracted trying to figure out day/age theory, gap theory, young/old earth, and where dinosaurs fit in, then you miss all that good stuff! !